Progression has slowed a bit, so I'm moving to a weekly posting now. Everything is down except for the Guard Post (200K) and Air Bombs (300K), which are the most expensive items to buy for this level. The initial focus was getting the fourth army camp so my offense could effectively compete on this level of play. Of course, that also meant upgrading the elixir storage so I had the storage to buy it in the first place. I went ahead and rebuilt the Clock Tower as well; SuperCell may have nerfed it to oblivion, but it still carries a decent number of hit points and will easily distract enemy troops while they get pummeled by defenses. 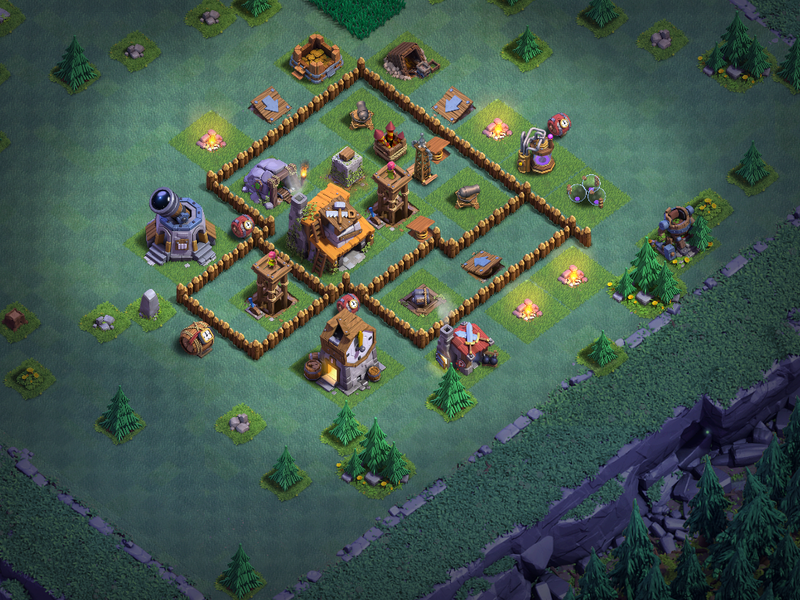 Every one of my games runs a different base for the first four Builder Hall levels. I enjoy designing bases from scratch or improving on ones I find in matches/online. It's just interesting to see how other players react to the base designs. 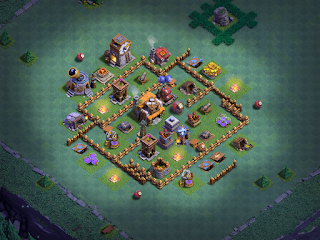 This current base does well against early-BH4 land and air attacks. Call it an "anti-3-star" base; most attacks only get around half the base. I'll be using this one until I get the last two defenses down. And...that's the goal for the next few days. Get the last two defenses down, upgrade the offenses, and work through daily upgrades of defenses. I'll post back in a few days as things progress. In the meantime, watch for articles on the base designs I'm using for BH3, BH4, and BH5!